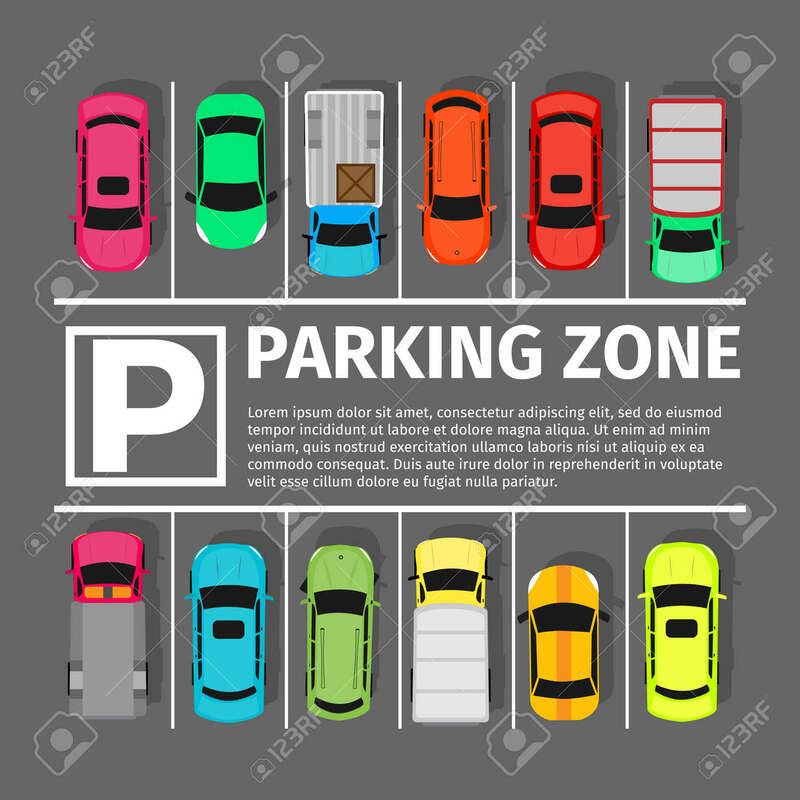 Parking Zone Conceptual Web Banner. Parking Place Sign Symbol. Parking Lot Or Car Park. City Parking Structure. Parkade. Shortage Parking Spaces. Large Number Of Cars In Crowded Parking. Urban Infrastructure. Vector Royalty Free Kliparty, Vektory A Ilustrace. Image 67673905.